Where do we begin? Where should we go? What are the keys to a positive experience? How do we plan a successful mission trip? These are common questions that congregations and mission committees often ask when exploring the possibility of taking a cross-cultural mission trip. WMI can help you plan a mission trip, make connections, and build partnerships. We have listed below several planning resources and contacts for planning cross-cultural mission trips. Resources for short-term mission are available on their mission trips site. There are some great short-term training materials listed on the Short-Term Evangelical Missions (STEM) International website, too! Go to their publications page. Annan, Kent. Slow Kingdom Coming: Practices for Doing Justice, Loving Mercy and Walking Humbly in the World: Annan’s experience in Haiti distilled into five spiritual practices that he shares to help mission leaders in the encounter with poverty and injustice. Annan is a gifted writer and shares at a deep, honest level. Corbett, Steve and Fikkert, Brian. When Helping Hurts: How to Alleviate Poverty without Hurting the poor…or Yourself and When Helping Hurts for Short-term Missions: An evangelical perspective which can help short-term mission leaders to think through the principles and strategies that they want to shape their work. Dearborn, Tim. 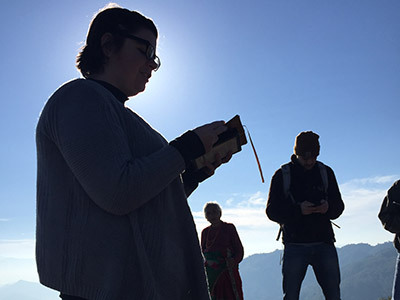 Short-Term Missions Workbook: From Mission Tourists to Global Citizens: The workbook format helps mission leaders systematically work through often-neglected areas of mission knowledge. Judge, Cindy. Before You Pack Your Bag Prepare Your Heart: Short Term Mission Preparation Guide: Helpful book that synthesizes important insights for cross-cultural encounters. Livermore, David. Serving with Eyes Wide Open: Doing Short-term Missions with Cultural Intelligence: Livermore brings important insights from the study of mission anthropology (specifically, understanding cultural differences) in ways that will increase readers’ cultural proficiency—a building block of faithful and effective intercultural mission work. Lupton, Robert. Toxic Charity: How Churches and Charities Hurt Those They Help (And How to Reverse It): A best-selling book that can wake us up to the unintended consequences of our benevolence in short-term mission, local/global mission and philanthropy. Newton, Connie and Early, Fran. Doing Good…Says Who? Stories from Volunteers, Non-Profits, Donors, and Those They Want to Help: Newton and Early’s 60 years of combined work experience in Guatemala yield a highly readable source of great insight for short-term mission leaders. Richter, Don. Mission Trips that Matter: Embodied Faith for the Sake of the World. Better than any other book on this list, Richter weaves a spirituality of mission and a solid theological basis for what short-term mission really is into every page of this beautiful book.